Saudi-owned media is calling out Canada’s human-rights record in a series of bizarre videos, days after Canada criticised the Kingdom’s record on similar issues, and set an escalating feud between the two nations in motion. So far, Saudi Arabia has expelled Canada’s ambassador, froze new trade, suspended flights, recalled thousands of students, and barred its citizens from receiving medical care in Canada. Saudi-owned media is calling attention to Canada’s human-rights record in a series of bizarre videos, days after Canada criticised the Kingdom over similar issues, and set an escalating feud between the two nations in motion. Al Arabiya, a news network owned by Saudi broadcaster Middle East Broadcasting Center, posted a series of videos blasting Canada’s prison system, suggesting the country’s practices are not up to international human rights standards. In one video posted on Monday, Al Arabiya called into question the arrests of several “prisoners of conscience,” listing Ernst Zundel, a Holocaust denier who was convicted of spreading false news in the harm of public interest, and Jordan Peterson, a controversial psychology professor who has spoken out against political correctness and has never been arrested. 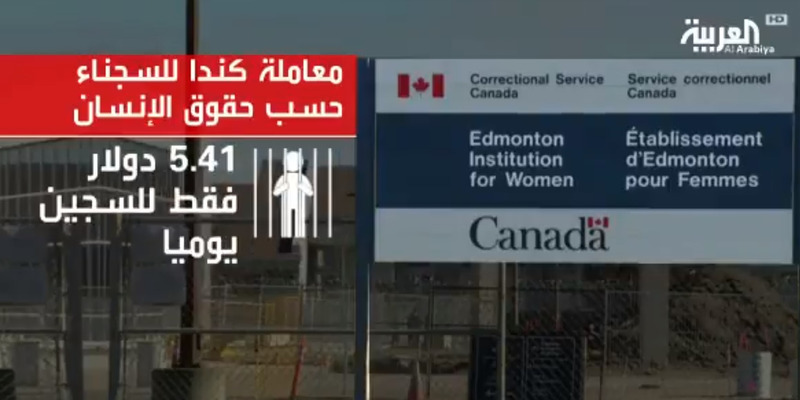 In another video, also posted on Monday, Al Arabiya continued its attack on Canada’s human-rights record, listing information about incarceration rates and violence in an apparent smear to Canada’s reputation. The media blitz comes just days after Saudi state media came under fire for tweeting a graphic featuring an Air Canada airliner heading toward the Toronto skyline – an image that alluded to the September 11, 2001 terror attacks against the US. Saudi newspapers is following the same pattern of propaganda against #Canada, the exact same way they did with #Qatar. They are using the same populist headlines, and the radical nationalist tune. Tensions first flared on Friday after Canada’s foreign ministry tweeted that it was “gravely concerned” about a new wave of arrests in the Kingdom targeting women’s rights activists. Canada has responded that it is “seriously concerned” with Saudi Arabia’s escalation of the matter, and is reportedly turning to Riyadh-allies Britain and the United Arab Emirates for help in diffusing the situation.